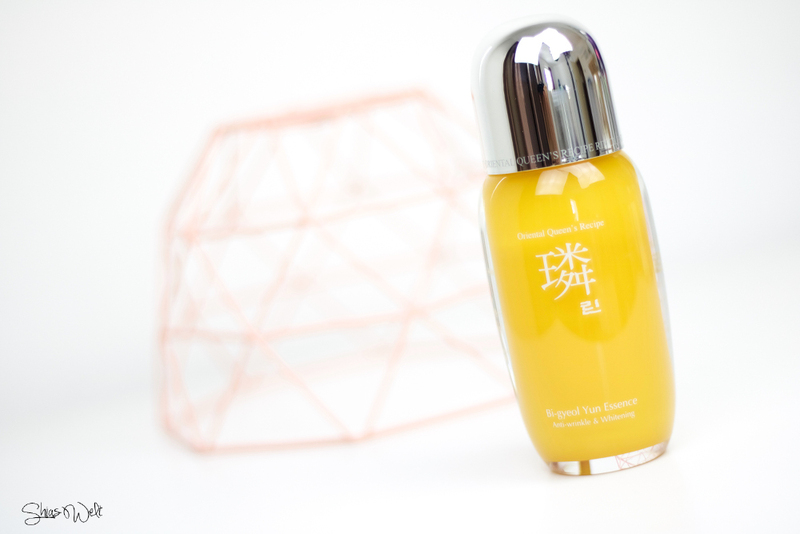 Die Hansaeng Cosmetics Rin Bi-Gyeol Yun Essence ist neu in meine Skin Care Routine. Koreanische Essences liebe ich und diese dürfen jeden Morgen und Abend nicht fehlen. I never heeared of Hansaeng before but according to their website, they are a „true oriental-based“ skincare company that uses a mixture of natural ingredients and oriental medicine. Sounds interesting, right? 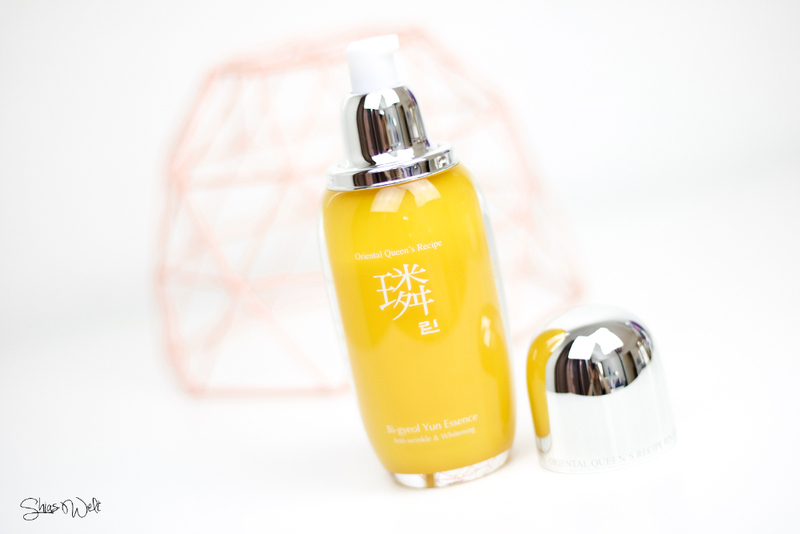 The Hansaeng Cosmetics Rin Bi-Gyeol Yun Essence contains six-year-old fermented ginseng – i know that koreans love ginseng ~ Beside the Essence you can find a toner, emulsion and cream. The packaging is super luxious and the essence is inside a glass bottle. Although i don’t like the color yellow that much i kinda like that packaging. You really need a good grip to get off the cap, which i really like. I really hate it when you put a bottle inside a bag and the cap loosens itself. I love all kinds of cosmetics with a pump. It’s much more hygienic to use a pump instead of using your finger! 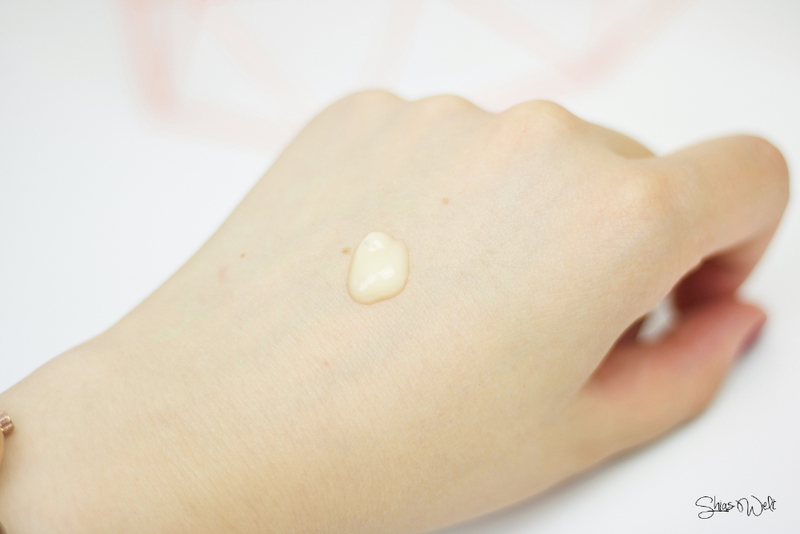 I just need one pump of the Hansaeng Cosmetics Rin Bi-Gyeol Yun Essence for my whole face. 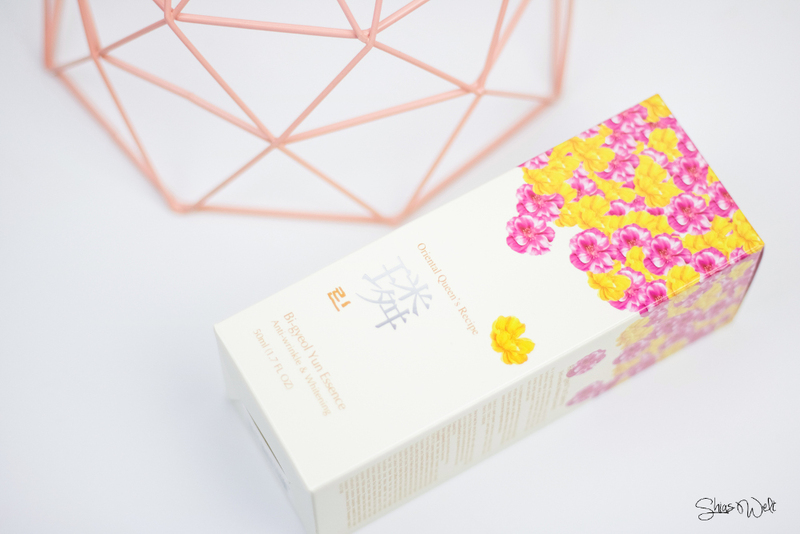 The Hansaeng Cosmetics Rin Bi-Gyeol Yun Essence is a highly enriched anti-wrinkle and whitening essence full of 15 oriental medicine extract. The essence contains Peony and Phellinus Linteus (a medicinal fungus) extracts which helps promote cell regeneration and skin resilience. Also Adenosine which targets and helps refine wrinkles, as well as Niacinamide which brightens up the skin’s complexion and tone.